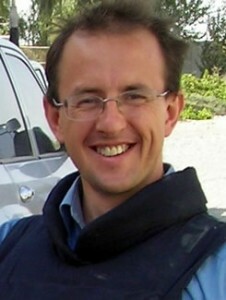 Frank Ledwidge is a barrister, author and former military officer who has served in the Balkans, Iraq and Afghanistan. He argues that Britain has paid a heavy cost – both financially and in human terms – for its involvement in the Afghanistan war. He has has recently followed his much praised work Losing Small Wars: British Military Failure in Iraq and Afghanistan (Yale 2011) with a new book Investment in Blood – the true cost of the Afghan war (Yale 2013). In it he calculates the high price paid by British soldiers and their families, taxpayers in the United Kingdom, and, most importantly, Afghan citizens, highlighting the thousands of deaths and injuries, the enormous amount of money spent bolstering a corrupt Afghan government, and the long-term damage done to the British military’s international reputation. He will discuss these issues with us and point to their implications for future military policy decisions.